Holla!! This is the second part of the Colourful Harajuku series guys! 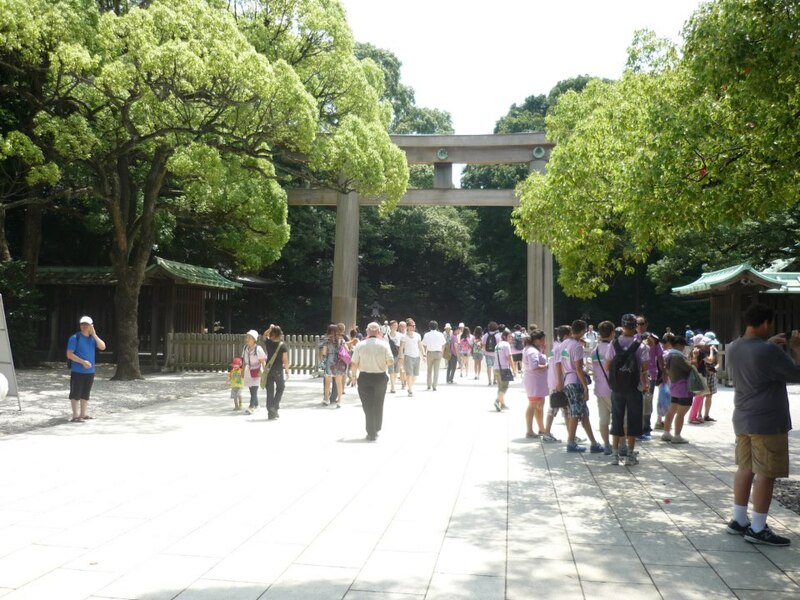 This time I’m going to cover the huge and famous Meiji Shrine. 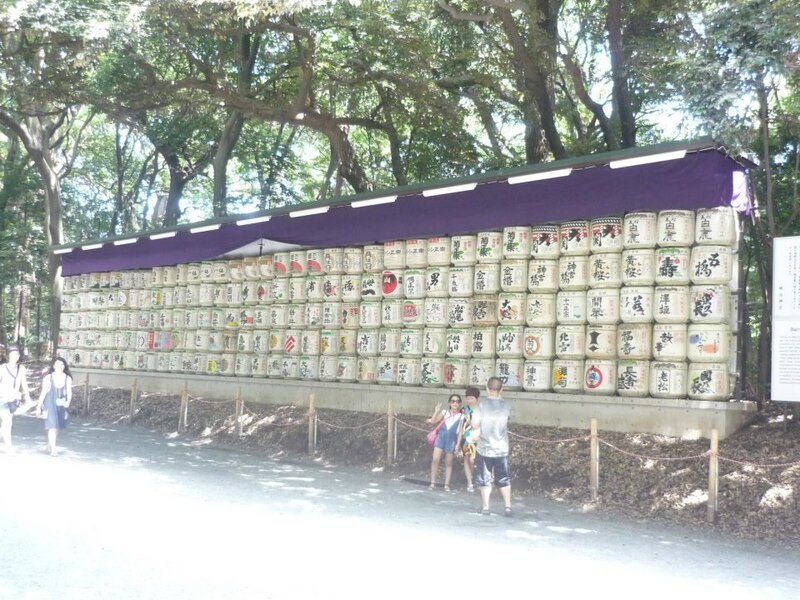 A shrine in the middle of trendy and crowded Harajuku? Seriously? Yeah, I’m serious about that. This is famous become it’s big and it’s located in the downtown Tokyo. It makes like it’s a totally in a different dimension compared to the next door, which is Takeshita Doori, but that’s what make it interesting. I guess it’d be better to go straight to the location. Let’s roll!!! 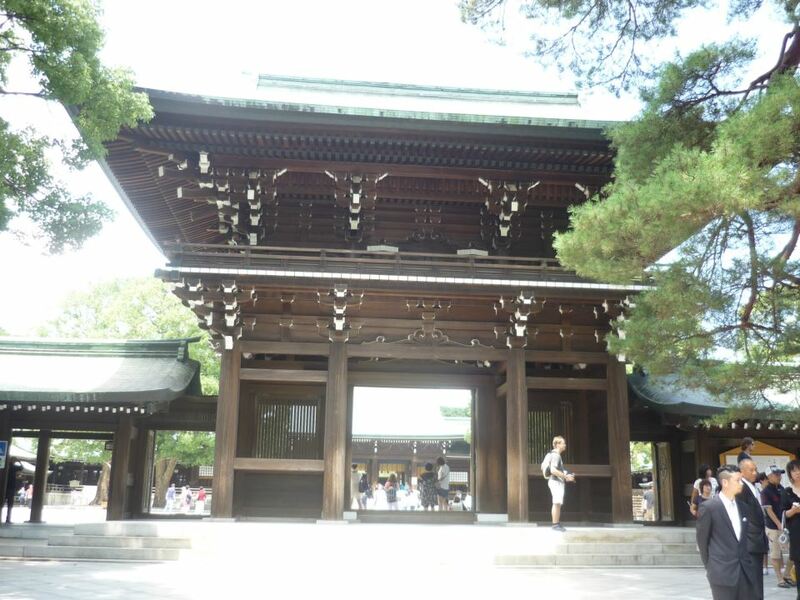 Meiji Shrine or in Japanese known as Meiji Jinguu is a Shinto shrine that is dedicated to the deified spirits of Emperor Meiji and his wife Empress Shooken. The shrine was completed in 1920, eight years after the passing of the Emperor and six years after the passing of the Empress. During the World War II, the shrine was destroyed but the shrine was rebuilt shortly thereafter. 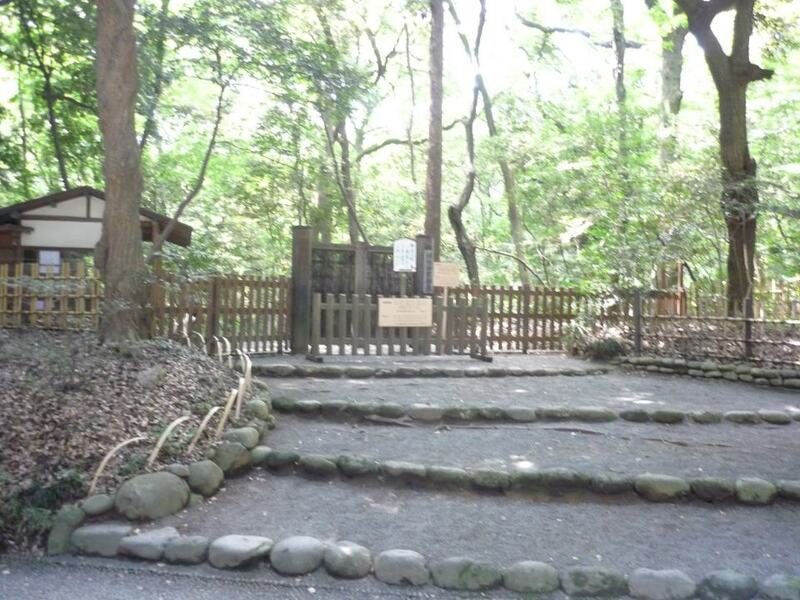 Located in Harajuku, exactly next to the Yoyogi park, this area is 700.000 square-meters large. 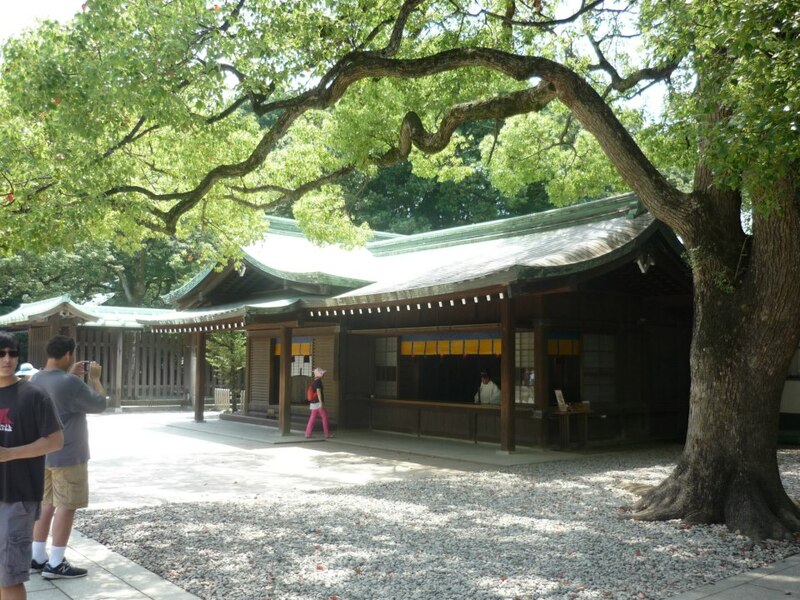 This shrine is covered by an evergreen forest that makes you wouldn’t feel that you are still in a downtown of a big metropolitan city. 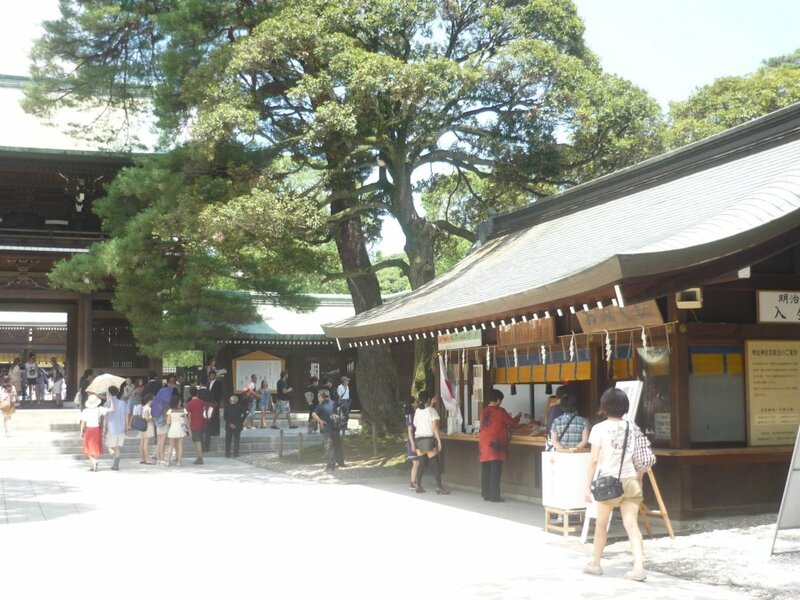 All of the roads lead to the main shrine are covered by pebbles, one of the main parts of the Japanese serenity. 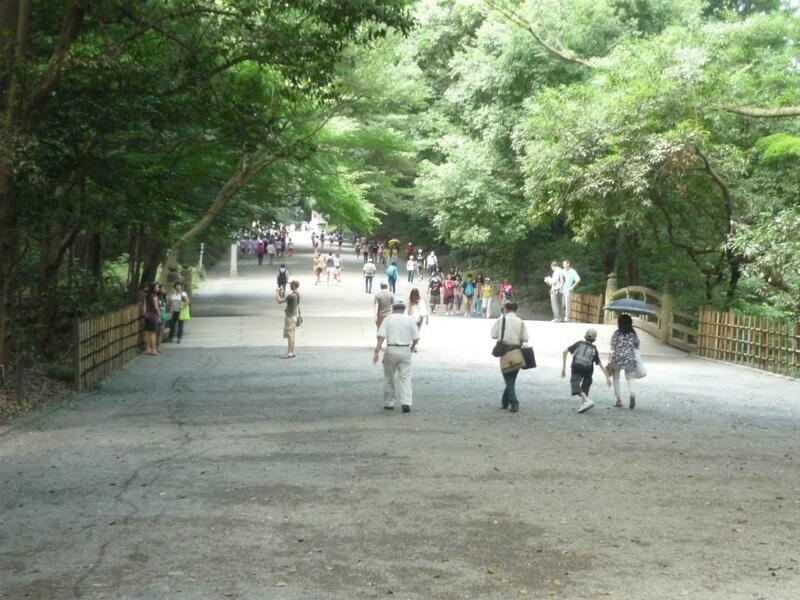 In the holiday season, this place is one of the main tourist site, especially in the summer holiday. When I was there, I met lots of tourist from overseas (though I’m also from overseas) and the group of students. The roads that are covered by the trees really felt relaxing and it also covered you from the blazing summer sky, moreover the sounds of the insects just made it perfect getaway place. Oh yeah, one of the things that you should remember is never walk on the middle of the road! When you’re on your way in, would be better to take the left side of the road, and on your way out take the right side. There’s a belief that the middle road is the way for God, so we shouldn’t take the middle road. 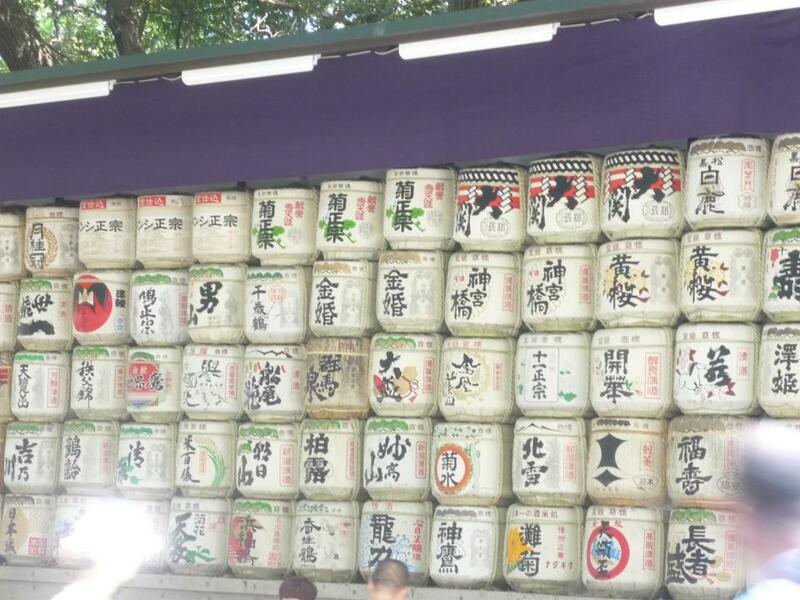 In the pictures above, are the collection of barrels of sake from all over Japan donated for Meiji Shrine. Lots of people took a picture in front of this interesting display. 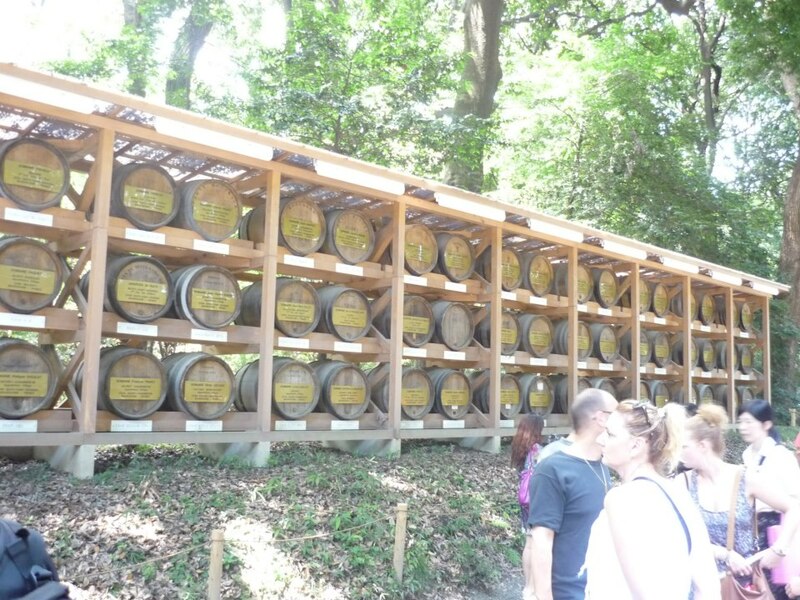 Below, that is a picture of the collection of wine barrels on the left side of the road lead to the main shrine building. Some people were gathering at that place where you could take a spoon of the holy water to pour it on your hands or your face. I guess lots of holy places in Japan, like shrine or temple, have this kind of fountain. 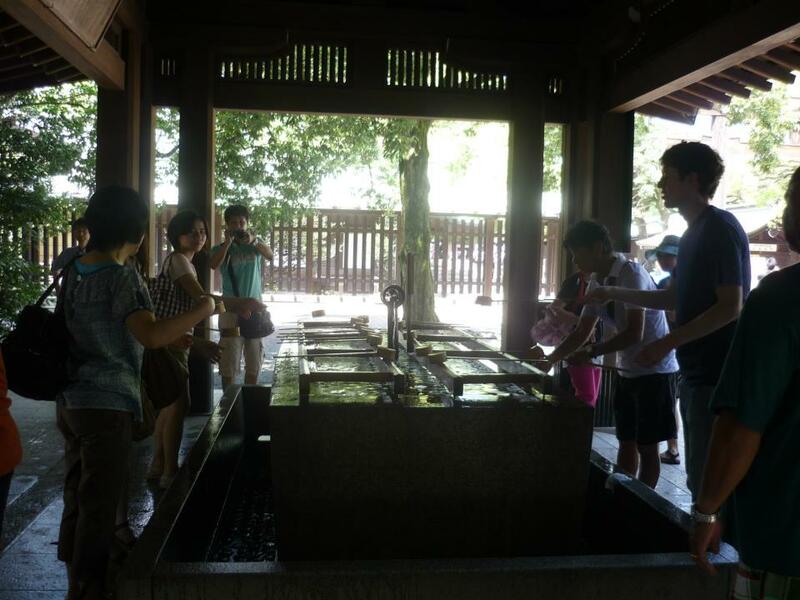 Actually, this fountain is used for purification and we have to clean ourselves first before approaching the main hall of the shrine. After walking about 10 minutes from the entrance, I found another gate that looks similar with the one at the entrance. 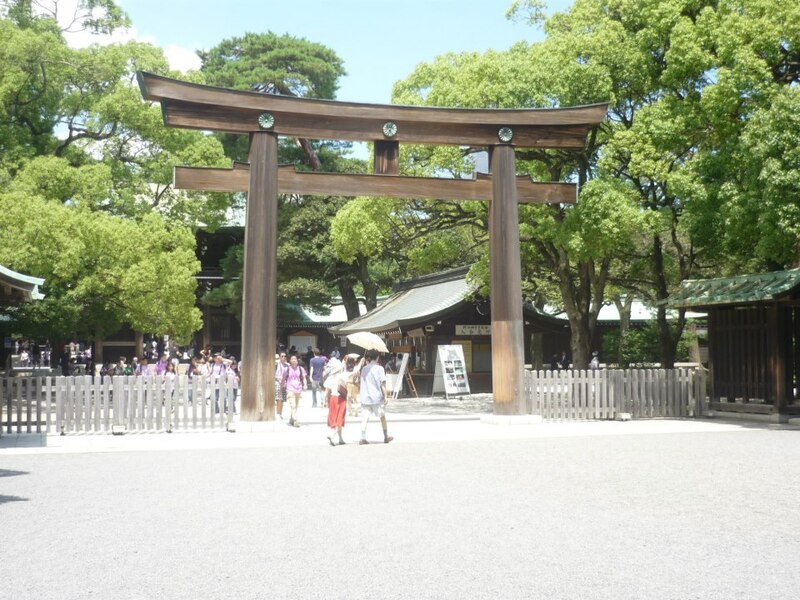 Inside the Meiji Shrine area we will often find this kind of gate. 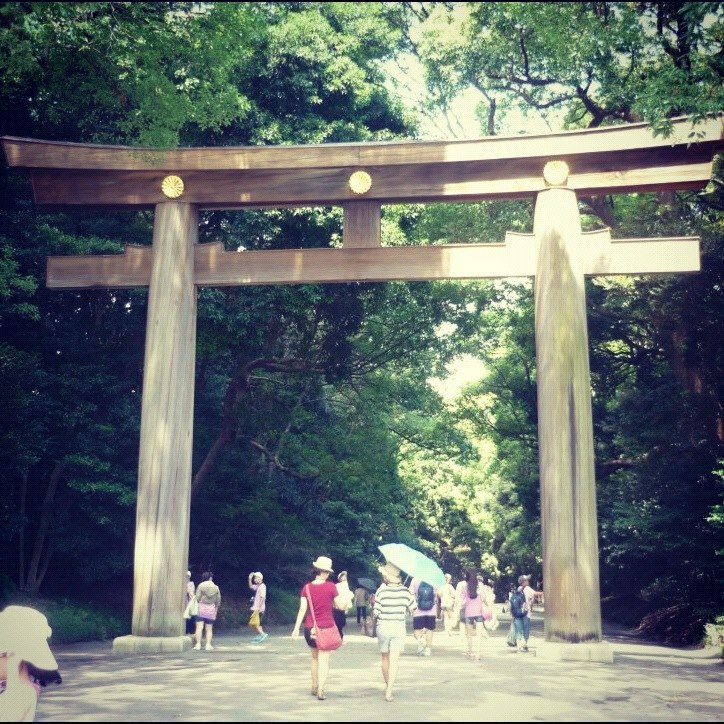 This gate is a traditional Japanese gate, named torii, and we’ll find this gate in the Shinto shrine all over Japan. This torii is the entrance to the main area of the shrine. 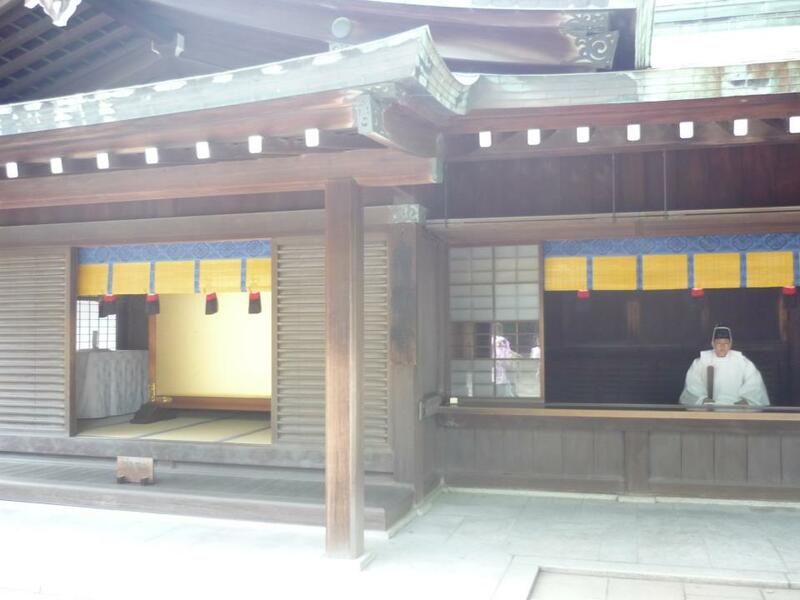 Inside the main area, we could buy the charm or amulet at the building in the picture above. 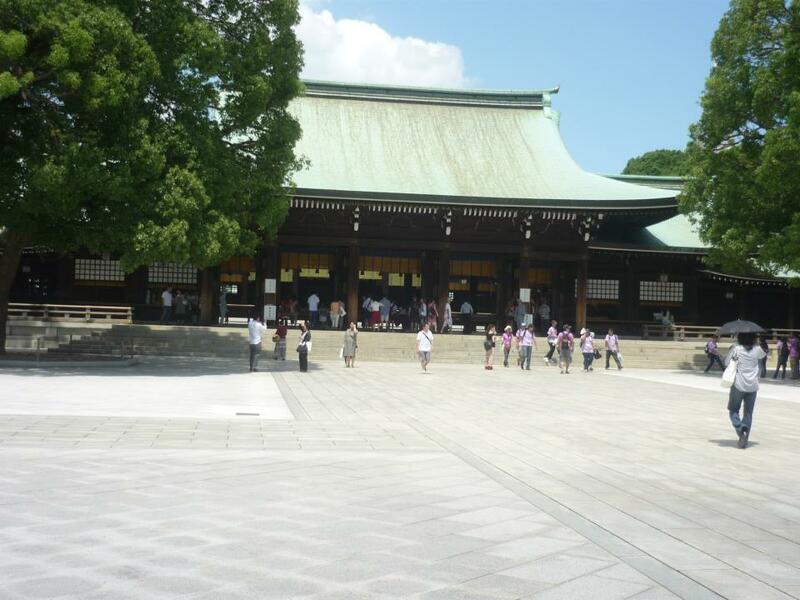 At that time I also met a Shinto priest inside the building in the picture below. I took pictures of the building and the priest as well. Before took the pictures, I asked his permission first then he nodded his head. He looked really serious.. 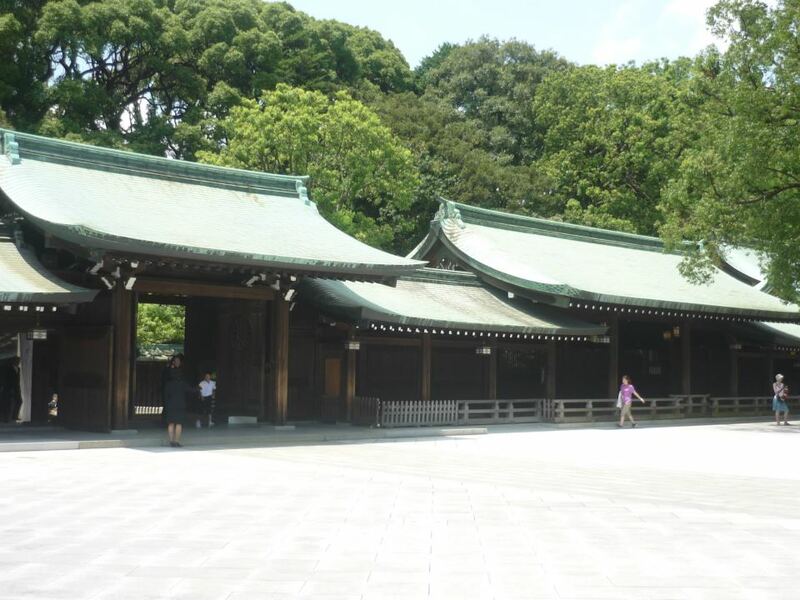 The main shrine is located behind this big building. At the time I was going inside, I saw a couple that were wearing Shinto traditional wedding outfits came out from a building on the left side with their company. 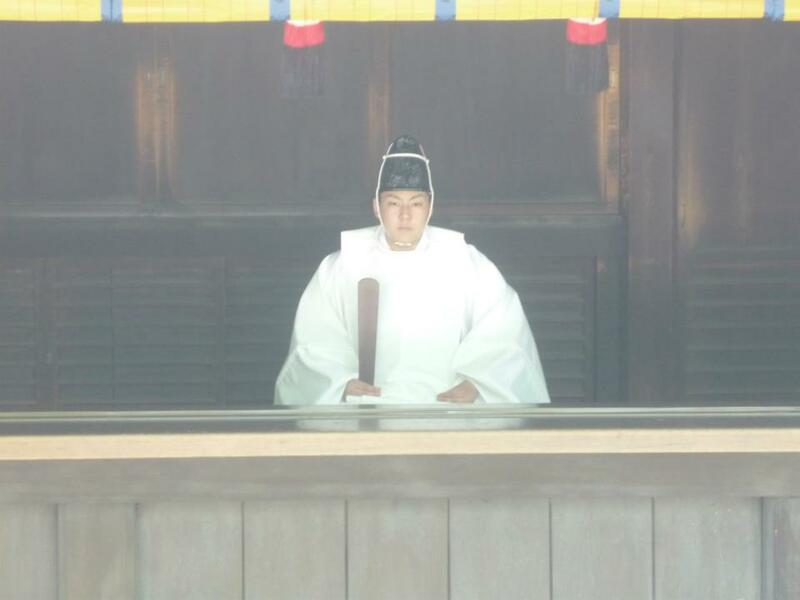 Until today, some people in Japan are still practicing the traditional Shinto wedding and sometimes we could see the wedding takes place here in this shrine. 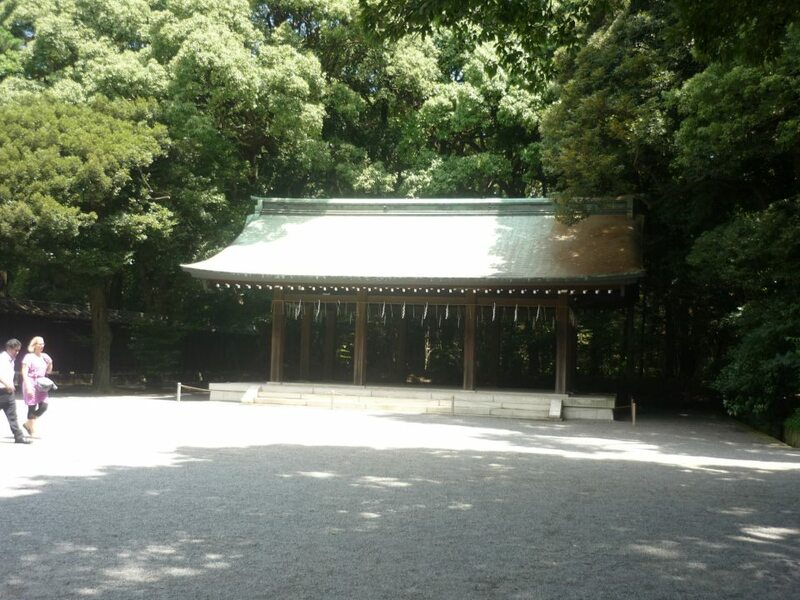 The picture below is the main hall of the Meiji shrine. Inside, I made offering at the main hall which is the building in the picture above. Beside making the offering at that building, I also wrote my wish with my girlfriend on an ema that is located on the left side of that building. Ema itself is a wooden plate where we are supposed to write the wish on. 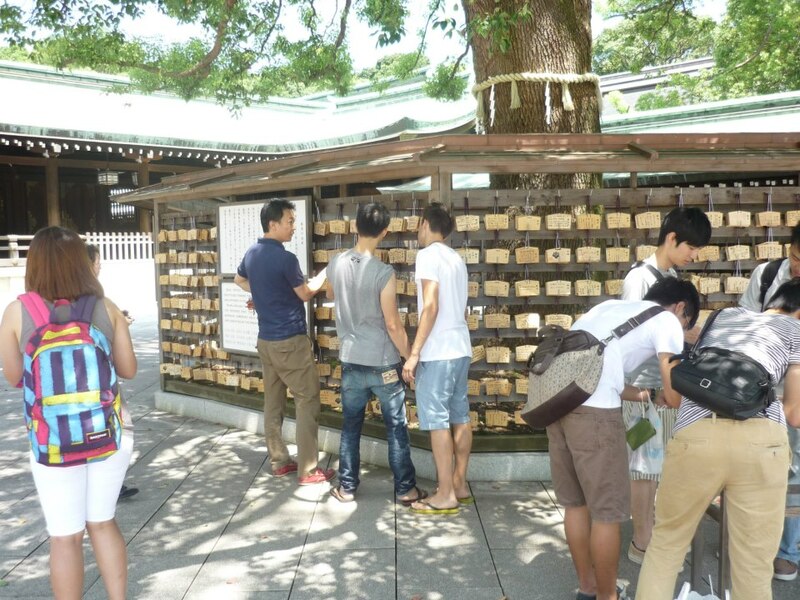 Everyone will write their wishes on the ema in hope for their wishes come true. Most people wish for good health, success in business, passing entrance exam, love or wealth. After we took one on the table, we wrote our wishes on it then we hung it on the rack that’s located below the tree. On the first day of the year, this shrine is always packed with people from all over Tokyo to make the first prayer (hatsumode) of the year. 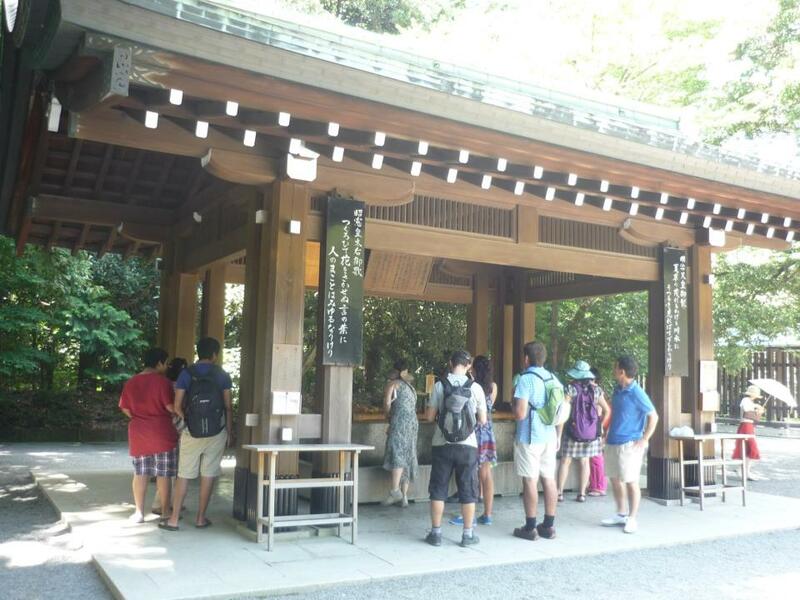 The popularity of Meiji Shrine could be seen from the number of the visitors who come to this shrine on that day that could reach three million visitors, of course more than the other shrines. Usually, people come here with their family, friends, or their lover. Being able to come to this shrine is such a wonderful experience for me. This place is really big since you have to walk about 10 minutes from the entrance to the main hall, however, I think that is one of the advantage of this place since we can use it for taking a relaxing stroll inside this quiet evergreen forest. 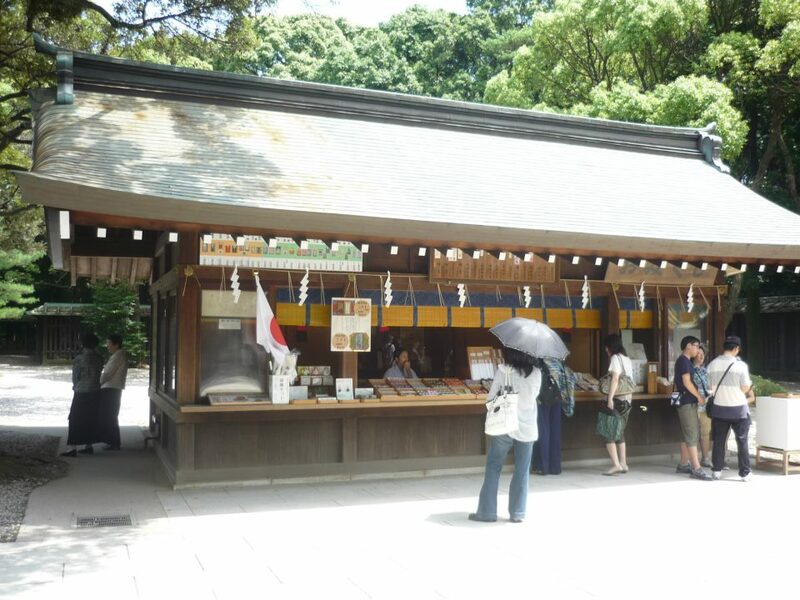 The Meiji Shrine, that is located next to the Harajuku, is one of the proves that the traditional culture could live side by side with the modern culture in Japan. It just reminds me one of the reasons why I really love this country. After finished writing wishes on the ema, I went from the main hall to the entrance gate since it was already noon and me and my girlfriend were already starving. Next, We went to the downtown Harajuku!! !